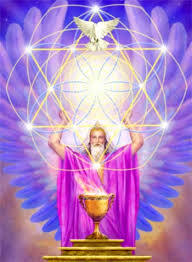 Greetings Masters, I am Metatron, Archangel of Light. I greet you in unconditional love ! An extraordinary opportunity is at hand, and we urge you to seize the day. For this day hosts an event that streams fertility to vision. And we urge you to believe in your ability to create. You cannot will manifestation of the the goals of your life while believing that your visions are mere dreams that will never come true. You cannot consciously co-create experience into manifest reality if you believe you are powerless to do so. But we assure you that you do create ever aspect of your life and your experience, either unconsciously in happenstance or consciously in mastery. The eclipse that occurs October 23rd is coded in life force, indeed with Divine Thought to assist you in moving into co creatorship. A window is opened that embellishes & multiplies the seeding of higher thought into reality within 3d. So Dear Ones, do not be discouraged. From higher stance, what is happening on the planet is purposed. It is the purging of negativity...lancing the boil. And we tell you, it will pass in time...we assure you that humanity is on path....and although the trail may be steep and rocky at times, you will in time reach the summit. All in time as you create it. Believe that truth and in so doing, create it. You are not alone, there are allies with you as you dream the purposed illusion of duality in the challenging curriculum of the University of Earth. Be aware that there are many accouterments and equipage supports buttressing & provisioning your journey. You are never alone, and nothing is given to you that that cannot be mastered. The world is always as you collectively dream it, but never forget a positive vision is far more potent than one of despair. Never forget that what you feel as individuals makes an enormous difference in the collective. The enlightened seekers MUST continue to project light to be the beacons through this time of seeming darkness. It is true that the manifest world in 3d is a reflection of your mass thought projections, but higher thought is infinitely more powerful than low frequency. A positive thought in higher mind is an exponentially bright illumination, one of despair carries no light....and in this simple analogy, it takes only a few human lights to brighten an entire planet. No astrological gravity is stronger than human will. But indeed astrological gravity is a valid force that can be allied with (and not against) human will to be wisely utilized in recognition of the patterning. 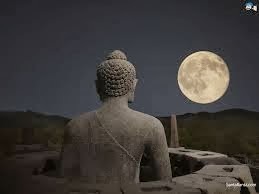 On October 23rd, ( Oct 24 in Asia, Oz & NZ) a New Moon Solar Eclipse will occur that is energetically combined with the Lunar Eclipse of October 8th and with the very recent massive Solar Flare & the Mercury Retrograde ongoing. The energy of the Solar Eclipse is a potent apexial point within the current resonance presently on the earth. And although you are in the midst of a time of chaotic purging, a requisite release of negativity, the eclipse will provide a moment of much needed reprise, a brief calming Within that ecliptic window lies an aperture for deep contemplation and a prolific opportunity for co-creation of your higher goals... further amplified by the energetic anions of the Solar Flare. In the present energy on the planet massive concentrates of impassioned negativity are being released. Many have felt dis-empowered, disenfranchised, disillusioned and have vented this repression in torrential rage. For some well being is fragmented. We tell you that this negativity has projected enormous clouds of dark thought-forms that can affect everyone, even those of you who are in more isolated, protective areas. This negativity is amplified, in a manner of speaking by the current astrological settings, and the misunderstandings within the Mercury retrograde. Keep in mind that in the law of natural attraction, negativity begets more negativity. Do you not see this all around you? It is imperative then that those of light of mastery stand firm in positive projection. And even those of positive force, those resisting expressions of overt negativity, must be aware that more passive forms of negativity such as depression and fear are also amplified by these energies and thought-forms. Fear and depression are often more subtle and pass through guarded mental gates undetected....unrecognized as being equally negative. Fear and depression fissure the aura, and open it to attachment. That is why many of you are feeling depressed and doubtful in this energy, and that is exacerbated when the highly present negative energies attaches to an open aura. Many of you are feeling doubt, lethargy, apathy, even self condemnation in this dense energy. It as though for some, a wet blanket has covered you, dampening the fires of your resistance. Anxiety, depression, fears of spreading pandemic disease, fears of war can be just as weakening and disruptive to the Auric field as hatred, violence and unremitting anger. When good people allow their light of positive projection to be dimmed in disillusion, apathy, lethargy or depression, the world becomes a bit darker. This will soon be lifted somewhat, but this energy will in the not too distant future re-emerge and will present itself again through the remaining months of 2014 and indeed will intensify somewhat in portions of 2015. And although this energy is difficult, it has purpose...and yet within this energy of seeming madness, there are purposed insertions of amplified benevolent frequencies allowing extraordinary opportunities for deep introspection , release and recharge. Within the coming eclipse phases there are opportunities of manifesting higher intent. By maintaining balance there are windows of great uplift & remarkable psychic clarity....and one of the most powerful occurrences this is on the Solar Eclipse of October 23rd. Dear Humans, on the Solar Eclipse of October 23rd, a succinct wave of seeded, coded energy will be emitted in the eclipsical aperture, and this can not only be received, it can and should be benevolently utilized. Dear Ones, this eclipse is absolutely teeming with Divine Life Force, purposed coding and can allow you to revitalize and recharge. Indeed, a recharging is important at this juncture within the rather chaotic astrological energy. Take time to meditate to focus on your intent during the active phase of this eclipse. 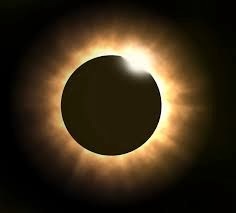 And although your astronomers define this solar event as a it is a 'partial eclipse' of the sun in terms of shadowing, its energy is enormous, and it projects a seeded-coded divine frequency globally, whether visible or not from ones habitual point of the planet. It is erroneous to assume that the degree of shadowing correlates to the magnitude of energy projection during an eclipse. This eclipse, and the eclipsical portal phases of 2015 are far more potent that any of recent times. Masters, take time to meditate, to pray, to focus on your goals on the extraordinary eclipse phase. What we tell you is that the life force, the coherent 'mana' of manifestation is greater during the aperture of eclipses. Use this time to co create your life and your world. We tell you a great truth, and that is that prayer is more powerful at this time, visioning is embellished with units of consciousness. Solar Eclipses have many attributes that were understood by more advanced societies of your past, including Atlantis, LeMuria and Rama. We will discuss these in more detail further in this channel. But we will mention briefly that the light, frequencies & codes emitted during the hours before and after an eclipse have myriad succinct energizing attributes that are beneficial to the physical and etheric bodies of humanity and to the crystalline mineralogical strata & structures of the planet. Those of you that utilize Phi Crystals and Quartz will find that these can be potently charged with a unique lite-energy life-force, if they are placed in sunlight during the eclipse phase .... and the visible eclipse phase will project this unique lite 2 hours prior to and approximately 1 hours after the maximum phase of the eclipse. However, it is important again to note and emphatically clarify, that the cosmic aspects of an eclipse event is not limited to its visibility or its visible spectra of light projection. The alignment, gravitational & torsion effects, the condensed streaming of Akash combined with the coded template of divine patterning are extraordinary potent effects of the dimensional eclipse aperture that occur globally, on every part of the earth and omni-earthplane. The benevolent force occurs across all portions of the global sphere, in light or dark skies. Masters, astrology in its correct application is one of gravitational and electromagnetic waves that influence the human body physical and the etheric bodies of the mental and emotional matrix. It is real, it is not folklore. We are not speaking about horoscopes, rather about very real waves of energy, that are teeming with frequencies, light and colors that effect you by induction and federate patterns. These patterns are vibrations that absolutely will influence, you whether or not you accept that they are substantive veritable forces. However no influence is greater than the power of will. But by being aware of the influential vibratory patterns you can more effectively work with and not against the patterns. Accordingly opportunities can be understood and thus seized, and pitfalls can be wisely avoided. Do you understand? In the New Earth, the Crystalline Grid has taken predominance over the magnetic grid, and this in kind influences both gravities of planets & stars as well as the interpretation of Light. And a force of influence that plays into this energetic collage is that of Divine Thought. There are patterns of influence from the collective Divine Aspect of Humanity and that termed Universal Mind that are injecting specific patterns through the Crystalline Grid into the Earth-plane at apertures formed in phases of eclipses, solstices and equinoxes. The Eclipse will occur simultaneously across the planet , but the local times of the eclipse will vary . The aperture of maximum energy will be from 2 hours before and 1 hour after eclipse maximum for meditation and optimal focal intent toward co-creative visioning. (Speaking to James Tyberonn) We then ask that the channel mark, denote & share the times of solar maximum to be optimally utilized by those of high intent. We add that a prayer, a vision conducted in focus during this eclipsical maximus timing will be greatly amplified, akin, in a simplistic analogy to 100X fold in comparison to what might be considered as an average light/code output in a normal solar phase. Eclipses alter the Earth's Gravity and planetary Torsion fields during maximum phase. This factual effect also thins the dimensional veil and alters time, actually halting linear time for an instant. In the maximum ecliptical phase, conscious 'life force units' (Akash) are streamed into our earthplane, and these units of life force vitally enables 'theta' meditative focal intent to gain tremendous momentum in the process of creating ones higher intent into manifest experiential reality. As we have stated , you are currently in a unique timing in which planetary influences have combined with cosmic forces that are not normally associated to astrological gravities to create a unique and succinctly intense purging in the paradigm of the New Earth. That termed the shadow, the darkside is in a temporal free-flow for a peculiar period of frequencial time to bring to the surface repression and frustrations, whether justified or not, to be confronted, viewed and dealt with in the crucible of human experience and manifest reality. That which was hidden or repressed is being percolated to the top. Past transgressions and unresolved conflicts that may have been hidden will surface in this time for facing and responsibly clearing.It is a time of misunderstanding, of overreaction and illusion. It is an energy underscored by extremes in expression of repression, a backlash of frustrations that may be revealed in a squeeze of untoward, even inappropriate venting in releasing that which was in 'shadow'. Now, the astro- intensity of the present will remain high, but what occurs in October will allow a necessary venting, somewhat of a temporary pressure release within the caldron of chaos that is presently ongoing. As we have previously shared with you, the nodes of solstices and equinoxes are also programmable. The eclipses that will occur in October 2014 are highly coded....much more so than any you have experienced in the recent past. Such programming will continue in order to format the 2038 Return of Light. There are Laws of Physics and indeed scientific attributes to eclipses that are not yet recognized or fully realized in your current academia. Your science disregards the sacred, and the sacred yet omits the scientific. So we say again that each of you should make a concerted effort to mark dedicated time on the dates of these eclipses to go deep inside, to pray to project clear intent. You will discover an extraordinary opportunity to experience higher realities (and to manifest your own) . 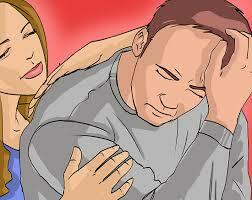 You will find dream states are far more lucid, and an opportunity to resolve personal issues is afforded. But again we say it is imperative that dedicated time be allotted. Some of you will accept these truths more readily than others, because what we share was understood in Atlantis, within 'Scientist-Priests' of the Law of One....and many of you, including the channel are part of the Law of One Soul-Group. As your Edgar Cayce stated, and we emphasize, the Law of One soul-group of Poseida (Atlantis) achieved the highest state of spiritual vibration ever achieved on the post duality realm of the earth-plane. Higher than Mu, higher than Rama, albeit the Mu-Rama phases consisted of souls that were very much a part of the Law of One. James Tyberonn: Can you speak in depth about the eclipses of October, and how these can be optimally utilized? Archangel Metatron: Indeed. Eclipses are apertures that combine light, planetary frequencies, geo-gravities and collective thought. Eclipses offer a unique pallet for both Divine Thought and higher vibrations of Human Collective thought to be imprinted. Now, a lunar eclipse can only occur on a full moon, and a solar eclipse can only occur on a new moon. Both provide added potency to the eclipse. Eclipses are often viewed by humanity as singular events, but we would tell you otherwise....when lunar and solar eclipses are in direct linear sequence, as are taking place in the present (October 8th & 23rd-2014), a more amplified field is formed in a greater concentration of energy. Linear eclipses (within 15 days) therefore have a greatly magnified intensity. 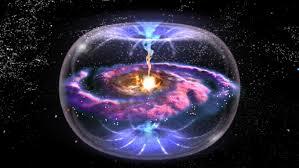 A symbiotic interweave of the lunar and solar vibrational signatures is formed that is synergistic in effect....both are amplified. In this collaboration any form of solar eclipse is tandemly magnified, whether partial, annual or total into a mega effect with all the effects of the total lunar eclipse, and vice versa. Meaning that if the lunar is total and is in linear sequence to a solar eclipse that is partial, the tandem duo result is a mega energy that amplifies both in 'Dual Totality' effect. Eclipses were known by more advanced societies as extremely significant events that permeated the dimensional fabric of reality within the earth-plane. The Atlanteans referred to them as infinity points, because for the period of the eclipse, linear -time stops for a brief interlude of infinity. (The word 'eclipse' comes from the Atlantean language and was interred into the language of ancient Greece, meaning to conceal or 'cease to exist'.) Eclipses uniquely alter the wavelengths of light and effect gravity. Gravitational anomalies as well as torsion effects occur during eclipses. These are speculated in your current science as the Allias and Saxi effects. Metatron speaking directly to James Tyberonn : We will speak more in future channels about the torsion & gravitational effects ongoing on the planet, and their far reaching effects. As Tyberonn of the Pleiades and of Atlantis, you & others of the Scientific Priesthood - Atla-Ra, indeed worked with these energies and understood the gravitational anomalies that occur during eclipses in terms of their potent influence on the planet and what is termed power-nodes. For eclipses offer energies that have myriad utility. In this sense, the mega tandem eclipses of 2014 and 2015 are also mechanisms of the ongoing planetary up-shift. 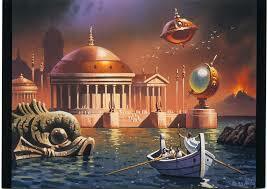 In Atlantis eclipses were recognized not only as catalyst, but also highly utilized as succinct sources of energy. Energy that could be harnessed, stored, and amplified by redirecting into crystalline capacitors! Eclipses emit a 'percussive' energy wave of coded coherency that permeates the earth and affects humanity. Coherency opens the pineal and elicits a specific response from both the cells of the human body physical and the energy construct of the etheric body. Eclipses also empower and further activate telluric energies such as Leylines and Powernodes. We will speak on this in greater details in a separate sharing. In a manner of speaking time as you know it is altered during the phase of eclipses, especially when both a lunar and solar occur within a relative proximity to apexial points of solstices and equinoxes. This is taking place now, and while it creates intensities, it also opens extraordinary 'dimensional doorways' of consciousness. Dream states are more lucid in these rare phases, and altered states within waking consciousness are also differentiated. The pulse of thought, of life force is varied in subtle but very meaningful ways. Windows of reality are opened, horizons of beingness are extended. Space-Time is briefly changed. Higher states of 'Eternal Now' simultaneous time are enhanced, allowing for a truly embellished phase of multidimensional clarity. You are aware that 'sacred sites' are planetary power-nodes within vectors on the earth embellished with a greater concentration of life force units... (Also referred to as Adamantine or Akashic Essence). Eclipses emit for a period of time a concentrated wave-stream of creative life force particulate in the same general sense, albeit in a much different stream. This ecliptic energy bombardment can be seeded with inserts of 'Divine' pattern thought as well as the higher intent of humanity on both the conscious & unconscious level. This energy will affect all of you on some level, to varying degrees whether or not you realize it. But how you utilize it, whether consciously or unconsciously will depend on your focus, knowledge and light quotient. Part of what is happening now and will happen again in the collated energy of the duo of mega-eclipses of 2015 will be the spontaneous release of the ongoing overcharged emotional states. Unique characteristic feeling-tones are embedded by humanity into the resonant vibratory field of an eclipse. Emotional tensions, such as the extremes provoked by the current 'energy cocktail' on the planet can be more easily brought back into a more normalized level. Eclipses carry an energy that can stabilize hormonal imbalances, in much the same manner that the electromagnetism of certain latitudes and altitude elevations provide balance to the human body and emotions. 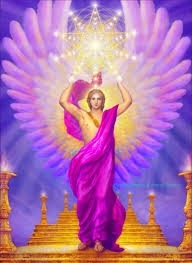 Archangel Metatron: Yes ! Human biology and indeed the mental and emotional fields are absolutely influenced by the environ. Your environment includes far more than you consciously perceive, including gravity waves, light frequencies, ionic ratios and mineralogical vibrations of the planet. Your physical body has a cellular consciousness operating biologically, so that hormonal and bio-chemical balances are directly affected by the light format & matrix of the planet. Eclipses have an impact because they project differentiated light, alter gravity and are coded with conscious life force that enables greater serenity. Accordingly, a release as well as re-calibration can take place. The eclipses of the present (October 2014) are also frequencially connected to the two Total Eclipses of March 20 and April 4 in 2015. (And the 2014 & 2015 tandem eclipsical phases are harmonically connected non-linearly to the seven eclipses occurring in the hallowed 'Year 2038'. Both the October 8th Total Lunar Eclipse on the full moon and the Mega Solar Eclipse of October 23rd are in a very unusual Mercury retrograde affording extraordinarily enhanced inner-psychic vision that will extend thru the October 23rd Solar Eclipse. But it is important to note that the level of clarity as opposed to the level of delusionary misinterpretation of this visionary opportunity will depend on one's individual auric integrity, state of balance & ability to remain 'grounded'. It is very important for you to realize the importance of balance, otherwise the energies currently on the planet (which will persist through March of 2015), can be difficult to manage, much less optimally utilize. Attention and understanding is required. Otherwise this can be a time of regression into depression and apathy. 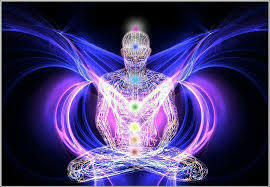 Utilized wisely these energies can be vast springboards for clarity, spiritual growth and co creation. Accordingly those currently in delusion will experience more delusion; those in clarity will experience extraordinary clarity. That is why the ancients always considered Equinoxes, solstices and Eclipses as Sacred Events. Even in your current times many religions still consider these events as Holy Days....and aptly so. Before closing, we also wish to mention that light received from the moon is reflective, whereas light from the sun is direct. During eclipses these differences are key factors. The moonlight and patterns of the lunar scope operate more in altered realms and dreamscape vision. Many of you have been reflective in the phase of the Lunar Eclipse of October 8th, whether or not in was a conscious reflection...such is the power of the lunar aperture. The sunlight and patterns of solar frequencies influence one more in the scope of life force and co creatorship of utilizing the embellished coherent energies to manifest. We urge you on October 23rd to break free of any anxiety, and focus on creating your life. Doing so, praying, focusing on intent will absolutely have more fertile results than you may realize. The abundance of life force units that are emitted & globally disseminated during an eclipse makes this so...and we assure you this is an unrealized fact in your current times, but one that was understood in ancient phases of greater knowledge. In the tandem collage of duo-eclipses, both should be understood in order to plan activity accordingly. 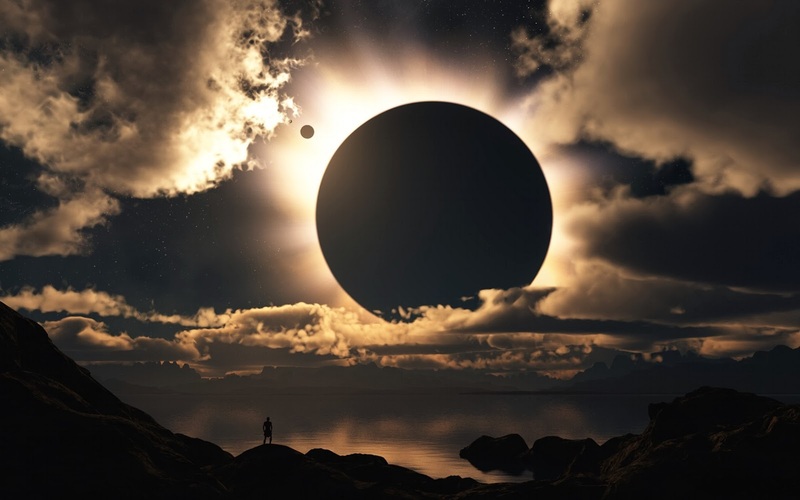 Reflect and contemplate in the energy of the Lunar and utilize your reflections by focusing on any requisite changes or high intent to be manifest in the Solar Eclipse. 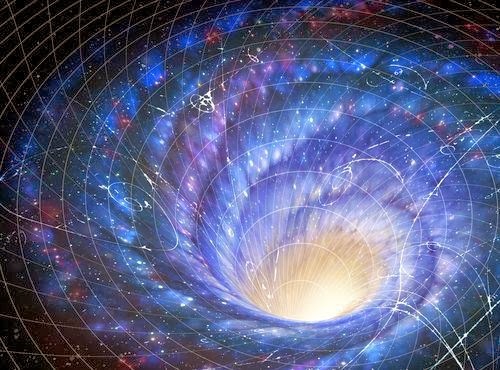 The Crystalline Grid serves as the focal lens to allow the higher codes to be embedded in the 12 dimensions of the New Earth Matrix, and thus received by induction thru the human universal mind of which all of you are so intricately connected. In the New Earth, the Crystalline Grid has taken predominance over the magnetic grid, and this in kind influences both gravities of planets & stars as well as the interpretation of Light. And a force of influence that plays into this energetic collage is that of Divine Thought. There are patterns of influence from the collective Divine Aspect of Humanity and that termed Universal Mind that are injecting specific patterns through the Crystalline Grid into the Earthplane at apertures formed in phases of eclipses, solstices and equinoxes. It is a code embedded on light beyond light, spectra within a spectra. We will share with you in a later channel how this works on solstices and equinoxes. This has also been known in the past. 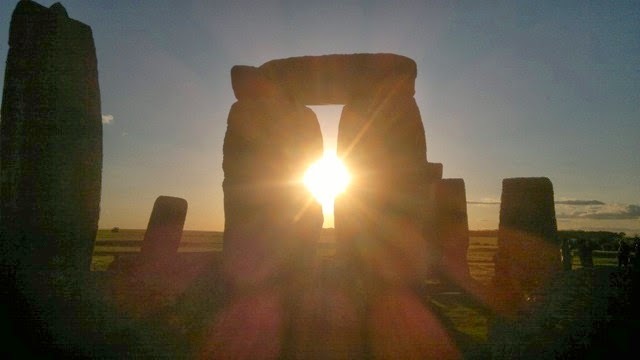 It is why many of your Druidic Sites were aligned to receive the specialized rays of sunlight on these solstice & equinox in the stone circles and stone chambers. Masters, we say again ... take time to meditate, to pray, to focus on your goals on the extraordinary eclipse phase. What we tell you is that the life force, the coherent 'manna' of manifestation is greater during the aperture of eclipses. Use this time to co create your life and your world. The truths we share here in regard to the nature of eclipses via the channel source of Tyberonn are perhaps representative of new information for you in the present, for it is information not taught in your main stream academia, although in generations to come this will be recognized and understood. Yet many of you will intuitively recognize the veracity, for we assure you what is shared are Truths that have been known in past societies. This information is received in the present window of exceptional intuitive/psychic clarity, and what we share will have applications that are particularly applicable in 2015 and beyond. Seize the day !